Our Graphic Design team brings digital ideas to life with beautifully executed, creative design. We Make the design beautiful and surprising, the idea clear and simple. As branding and graphic design services specialist, we have the expertise on how to position our clients to their best advantage with creativity and smart online marketing strategy. As branding and graphic design services agency, we collaborate closely with our clients and offer a full set of services, including brand strategy, brand identity, logo design, interactive website design, animation and film production, publication design, and more. Graphic Design Services team brings digital marketing ideas to life, takes your business to the next level, to demonstrates credibility & expertise. Build audience trust with a world-class website. 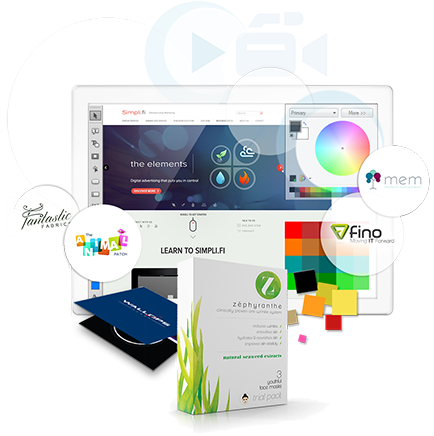 Our Graphic Design Services teams will make users love your website. We differentiate companies by raising the bar on digital branding. Businesses perform better when they show, rather than tell. Our Graphic Design Services team make a greater impact on your customers with state of the art video production, including scripting, storyboarding and custom animation.